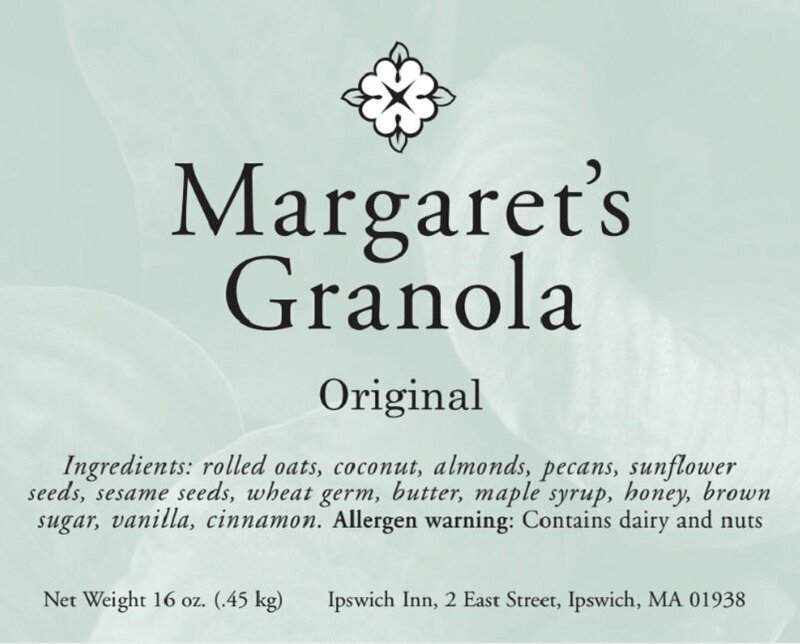 Enjoy Margaret's own granola in three varieties! 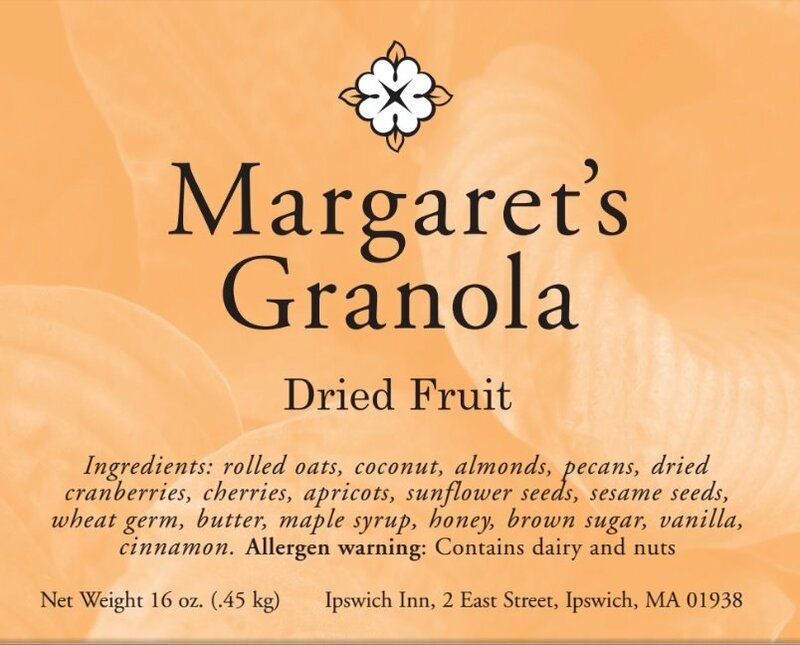 Each 16oz package is a homemade blend of natural ingredients flavored with just the right sweetness and slowly baked to a light crunch. Enjoy with milk, over yogurt, as a topper on muffins, or just right out of the bag! 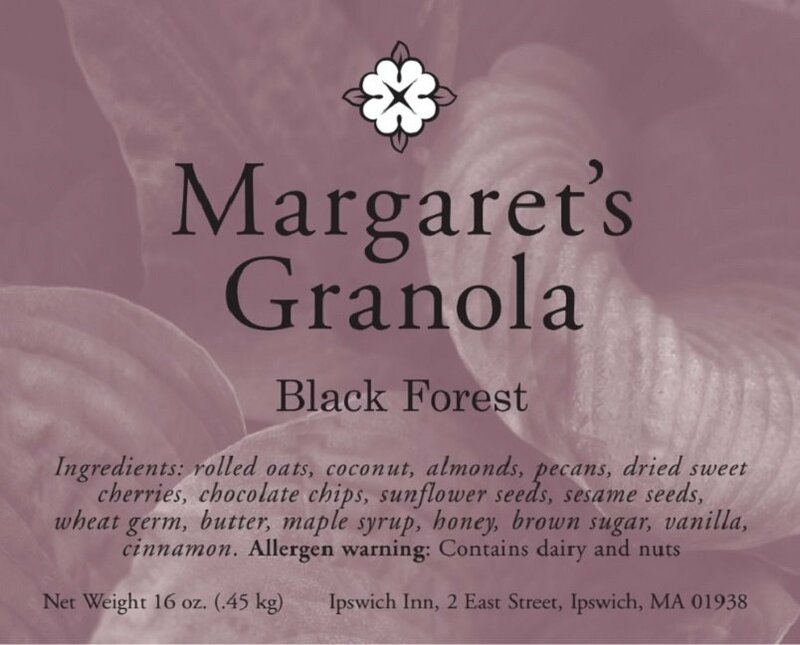 To order, send an email to us at info@ipswichinn.com or call us at (978) 356-2431.